Pauw jackets are elegant and classic in design that allows for versatility in the wearer. 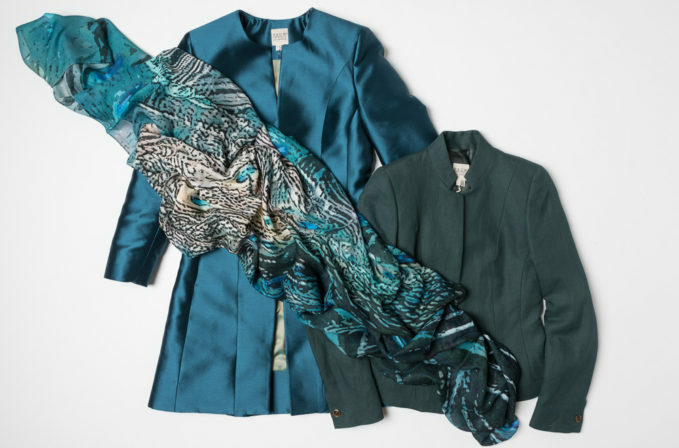 A Pauw coat in either satin teal or deep emerald become a clean base for a Benny Setti blue silk scarf. The scarf has an stunning peacock motif in complimenting tones of blues and teals and finishes a classic and elegant outfit of emerald, teal, and midnight blue.